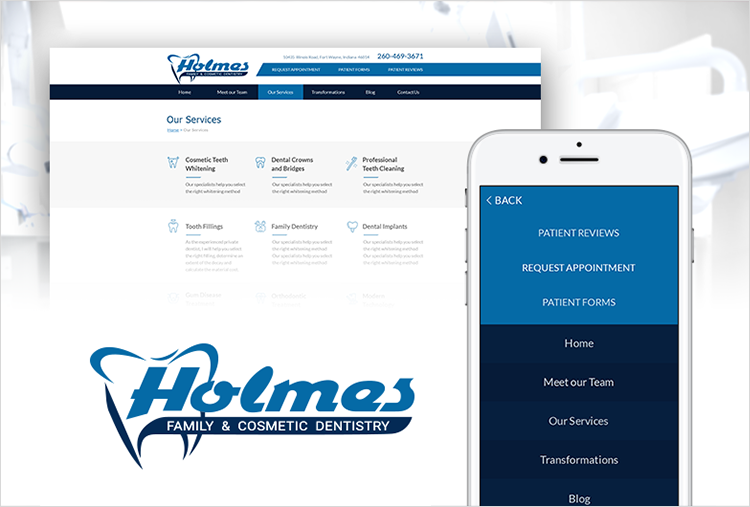 Our client, Dr. Ryan K. Holmes, came to us to redesign his Family Dentistry site. 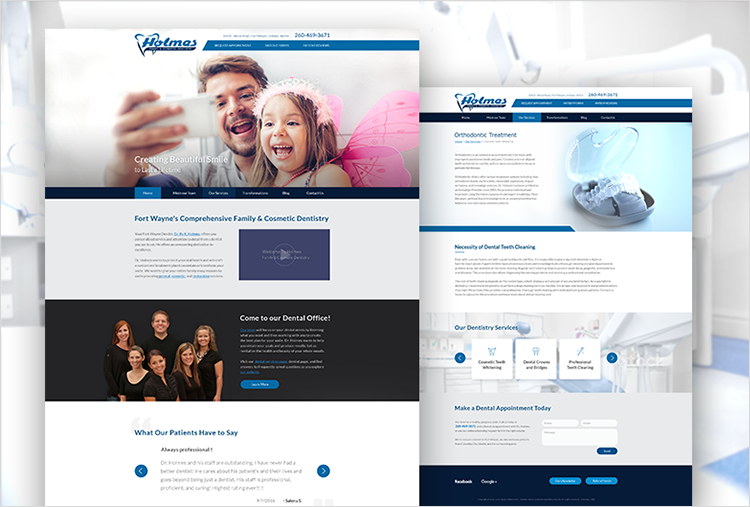 Our team has created the new site starting from the graphical design and ending with content population. 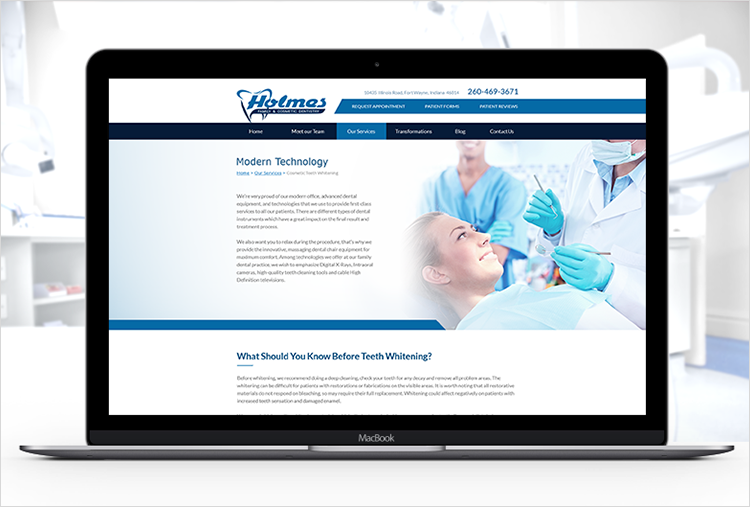 You can check it live here: http://holmesfamilydentistry.com. I was very happy to work with NIX in the development of my custom website. Roman and his Team were very responsive in helping me design the site! Great work. Five star provider.